Nov 2017: Welcome back to Dr Aline Spejo, a new postdoc in my lab funded by the Brain Research Trust! Thanks, BRT! Oct 2017: Welcome to Jared Sydney-Smith, a new PhD student funded by the International Spinal Research Trust; thanks ISRT! Sept 2017: Welcome to Ilyaas Javid, a new member of our team! Aug 2017: Our Working Group publish the IMPROVE guidelines for preclinical stroke models. Jan 2017: How to save time and reduce frustration when writing manuscripts by using customised Captions to manage the numbering, citation and renaming of Supplementary Materials. Dec 2016: Welcome to Aline Spejo! Sept 2016: Congratulations to Dr Claudia Kathe for her paper now accepted in eLife. Well done! May 2016: Congratulations to Denise Duricki for her paper in Nature Protocols. April 2016: Thanks to the Rosetrees Trust for their funding of a PhD studentship for Sotiris Kakanos. 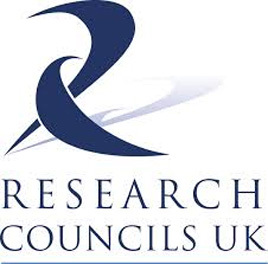 Feb 2016: Thanks to the European Research Council for their Proof of Concept funding. Feb 2016: Tom Hutson and I are coauthors on a paper by Jeff Petruska and Ben Harrison in J Neuroscience. Jan 2016: Congratulations to Christina Wayman for her paper in the Journal of Online Visualized Experiments. October 2015: Congratulations to Denise Duricki for her paper now accepted in Brain ! Congratulations to Tom Hutson and Claudia Kathe for their paper in Gene Therapy ! Click here to download the manuscripts. With Jeff Petruska and Ben Harrison, we also have a new publication in Genomics Data. September 2015: Welcome to the new MSci Pharmacology students; some of your course information is here. August 2015: Thanks to the Rosetrees Trust for their ongoing support. June 2015: Thanks to the Wings for Life for renewing their support to our lab for research relating to spinal cord injury. May 2015: Welcome to Sotiris Kakanos who is a research technician funded by the European Research Council. May 2014: Thanks to the Wings For Life charity for their grant for our research relating to axon regeneration and spinal cord injury. August 2013: Welcome to Dr Barbara Haenzi, who is a research fellow supported by the Swiss National Foundation. July 2013: Thank you to the anonymous donor who contributed to my lab's research. If I knew your address, I'd send you a thank you card! Many thanks indeed! April 2013: Welcome to Dhireshan Gadiagellan! His PhD is supported by the ERC. March 2013: Thanks to the Rosetrees Trust and International Spinal Research Trust for supporting our research. Jan 2013: Welcome to Hannah Moon! Oct 2012: Welcome to new PhD students Christina Wayman and Ed Fletcher. Oct 2012: Thanks to the European Research Council for their 5-year grant to my laboratory for stroke research. 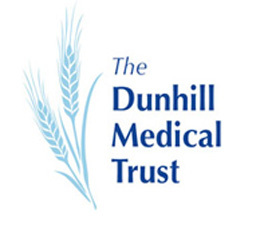 Sept 2012: Thanks to the Dunhill Medical Trust for their grant to my laboratory. May 2012: Thanks to the anonymous donor who gave a kind donation to our stroke research. Apr 2012: Well done to Sara Soleman for her paper published in Brain. Oct 2011: Welcome to Claudia Kathe! She will be evaluating a clinically-feasible route of delivery of neurotrophin-3 in models of spinal cord injury. Aug 2011: Thanks to the Dowager Countess Eleanor Peel Trust for their grant towards our stroke project. 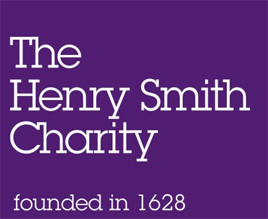 June 2011: Thanks to the Henry Smith Charity for funding Dr Tom Hutson as a postdoctoral researcher in my laboratory. June 2011: Thanks to Spinal Research for their funding (a PhD studentship for Claudia Kathe). Also to the BBSRC and the Centre for Integrative Biomedicine for funding towards our fMRI work. May 2011: Congratulations to Sara Soleman on passing her PhD viva voce exam! 29 July 2010: Lila Josephine Moon arrives! 28 July 2010: Tom Hutson gets his PhD! June 2010: Tom Hutson has returned to our lab as a Postdoctoral Researcher. Welcome back! Mar 2010: Thanks to the Royal Society for providing us with Research Grant funding. This seed-corn funding will allow us to buy equipment for a new cutting-edge project. Mar 2010: Thanks to the BBSRC for funding from their International Scientific Interchange Scheme. This funding will allow training and initiation of collaborations at a workshop run by Plexon. Jan 2010: Congratulations to Sara Soleman, who is first author on our new paper which describes our model of stroke in aged rats. Oct 2008: Dee Duricki joined my lab as my third PhD student. She's working on a project testing potential therapies for stroke in aged rats, with fMRI as one of our outcome measures. Feb 2008: More resources added to Materials for Teaching. June 2007: Sara Soleman has joined my lab as a PhD student. Amongst other things, she'll be working on the MRC grant mentioned below. January 2007: Obtained a grant from the Medical Research Council. Project aim is to determine methods for promoting recovery of upper limb function after unilateral cerebral ischemia (stroke). October 2006: Tom Hutson has joined my lab. As my first PhD student, he'll be developing non-integrating lentiviral vectors capable of mediating RNA interference in neurons. Where are the panoramas from? Here's where you're all from! Why not drop me an email to say "hi" !